Shaw Communications’ president and CEO Brad Shaw wouldn’t close the door on an opportunity to merge with Rogers but said that isn’t going to happen anytime soon. “I don’t know, you could never say ‘no,’” Shaw said in an interview with BNN Bloomberg on January 17th, 2019. But Shaw, as he smiled, said is company has made a lot of moves “to pivot the growth long term,” by selling its media, going into the wireless business and deploying billions of dollars. The telecommunications company shifted its focus to providing Canadians wireless services after acquiring Freedom Mobile in 2016 and began expanding in Calgary. It’s taken a long time for the company to get its footing in the wireless business after significant investments in the past. In 2008, it spent $189.5 million on wireless licences and later sold those assets to Rogers for $300 million in 2013. In 2016, before moving to the wireless space, it sold off its media division to Corus Entertainment. During the company’s annual general meeting on January 18th, 2019, the CEO even said there is a “great opportunity” in launching a first-party wireless brand. “[There’s a] lot of opportunity for us to come into the market,” Shaw said, during the media call, answering a question posed by MobileSyrup. Shaw said that customers are drawn to “the right offer with the right network,” and that the telecom service provider always looks at both ends of the pricing market when forecasting plans. During the BNN Bloomberg interview, Shaw also responded to a question regarding fears related to Huawei being a part of 5G infrastructure development in Canada. The Chinese telecommunications company has been under the microscope since its global chief operating officer Meng Wanzhou was arrested in Vancouver on December 1st, 2018 while transiting to Mexico. She has been granted bail but faces extradition to the U.S.
“Well right now we don’t have any Huawei in the system. Our provider is Nokia. We have worked with them, and we are comfortable with them in the 5G strategy,” Shaw said. Huawei has been in Canada since 2008 and has forged 5G-related research partnerships with several Canadian universities. It is also heavily investing in helping Bell and Telus build out their 5G infrastructure, though it remains unclear exactly how far along these efforts are. Rogers is partnered with Ericson, while Shaw uses the Nokia’s technology to build out these networks. 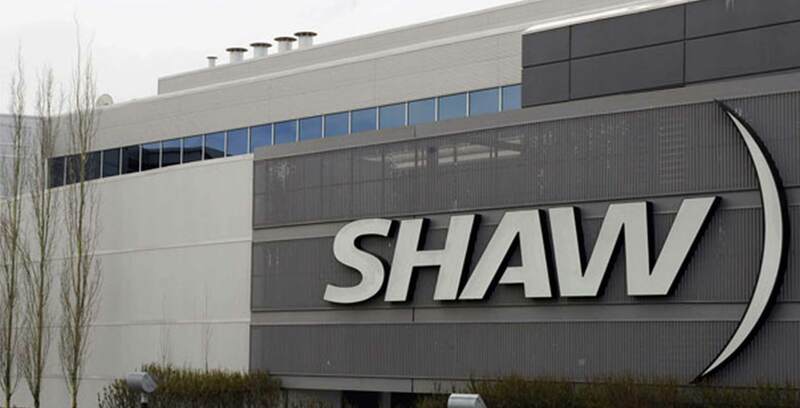 Shaw made a plea to the government during the interview, saying that Innovation, Science and Economic Development Minister Navdeep Bains must ensure smaller players have an opportunity to participate in the 3.5GHz and mmWave spectrum auction. “If we truly want competition with 5G then we need to make sure that the government…[in the] 3.5GHz and mmWave spectrum auctions, there is a set aside [for smaller players[,” he said. “There is no doubt in my mind the Big Three would love every opportunity with their balance sheet to knock Shaw off and not be able to get that spectrum, which is fundamental to compete against the Big Three. They have half their spectrum they got for free and they can harvest all of that. We are in a much smaller position…we want to participate, we want to go from 4G to 5G and we are very committed and working hard at that moving forward,” Shaw said. But in order for 5G to be effective in Canada, it requires mmWave, a key spectrum, but industry leaders have said 3.5GHz spectrum will provide ubiquitous coverage and is supported by more phones. Chip-making giant Qualcomm noted in its 2016 report that it considers the spectrum band to be the primary band suitable for the introduction of 5G in Europe. Other players like Bell and Telus have joined in on the plea. In June, Innovation, Science, and Economic Development Minister Navdeep Bains announced 3.5MHz spectrum auction consultations. The auction is set for sometime in 2020. Bains also noted that Canada will participate in the mmWave auction that is set for 2021.